BLOX Harness Bar UNIVERSAL - Dezod Motorsports Inc - Home of the automotive performance enthusiast since 2002. 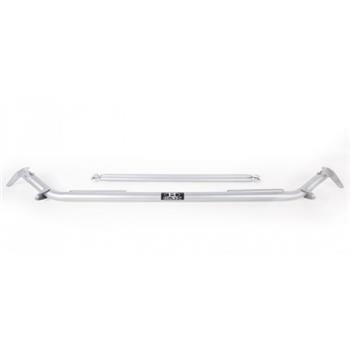 BLOX Racing is proud to introduce its harness bar, available in black and silver. This harness bar is designed to help route and attach seat belt harnesses safely and securely through existing mounting locations. The harness bar also helps increase chassis rigidity by tying together the vehicle’s B-Pillar points. BLOX Racing harness bars measure 47” in length and are constructed of high quality, lightweight steel and come with necessary mounting hardware. Below is fitment guide with known applications. To see if the BLOX Racing 47” harness bar fits your vehicle, measure the distance between your vehicle’s b-pillar.